Swipe Smart & Fast to Merge the Circled Numbers – 112! When it comes to the puzzle games, everyone that likes to challenge themselves and use their brain while playing and having fun on his smartphone, this type of game is the right one. However, finding the most quality puzzle with an exciting gameplay that will sharpen the brain is not easy. Because of that, to help you to make the right choice, we looked and discovered a great number puzzle that all puzzlers will love for sure. Let’s see what the game is all about. What is 112 all about? With this challenging, fun and addictive number puzzle game developed for android users and suitable for every age, each player gets to sharpen his brain by trying to think smarter and faster to solve every puzzle and progress in the game. With endless amount of challenging puzzles and exploring the possibilities for solving them, players will have the chance to better their puzzle skills while having fun. With intuitive interface and amazing colorful design, players will get addicted to playing fast, swiping and merging numbers, getting high scores for their best achievements. On the game, players are offered to enjoy incredible features that will keep their attention every time they play and solve puzzles. With many achievements and stars for winning, players have the chance to get high scores and constantly try to beat them in order to become the best puzzlers. The scores can be shared with friends by connecting the game with the player’s Facebook account. Limitless possibilities and endless amount of puzzles are offered for testing the skills of thinking hard and quick. 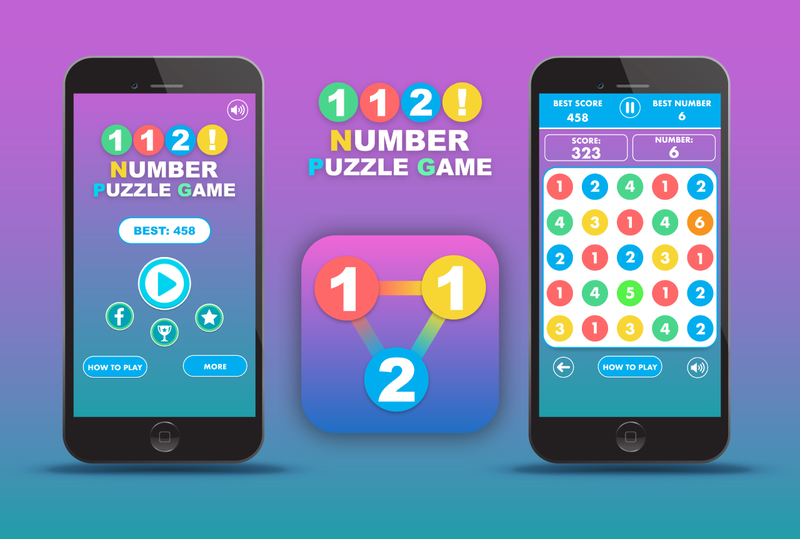 Each player has a simple task to do in order to progress, just with a swipe players have to connect the same numbers in any direction in order to make them merge and get a higher number. The players that are able to get the number 5 or higher will see that those numbers will also auto-merge, getting him higher scores. For progressing in the game, players have to connect and merge as many numbers as possible. The player that solves each puzzle fast and merges a great amount of same numbers will get the highest scores and progress to the next even more difficult number puzzle for solving. Download it from the App Store now for free and have matching and merging numbers!